If you are planning to start a professional organizing business you will want a name that defines its scope and mission. This is a guide about name ideas for an organizing business. I know this post has been done before, but I am starting a new closet organizing business and really need help with a name. My target will be affluent women who really need help on organizing their closets and possibly their bathrooms (make-up). I want a really elegant, sophisticated yet catchy name. I recently met a woman who has a styling, personal shopping, closet organizing business who goes by Wardrobe Mistress which I love. So something around those realms. I liked Organista until I realized it was associated with the piano and nothing with organizing. Help! My first thought was "Thinking Inside the Box" but that isn't regal. My second thought is "Things That Shine". Hope you find the right one. Thanks for your reply! I was thinking a name with the word Organization/Organizer in it. How about "in its Place?" It sounds like a kingdom! MessNoMore...you've got to address the issue. I love all of your suggestions! But I may branch out and do something besides closets down the line. Any other suggestions? Organization preferably in the business name. I am looking to start a side hustle. My skills/talents are organizing, rearranging furniture, capsule wardrobe consulting, proofreading, decorating, and simplifying. I'm trying to find a 1-2 word name for my business that encapsulates all of the things I offer, but I will list my specialties under the business name. I need help coming up with a name for starting my own cleaning and organizing business, where I can take my son along with me. (He's 7 months old, but very calm). I was thinking something along the line of using "mother" in the name, but I can't seem to come up with anything that suits me. Any ideas? My last name is Shoop so something fun using a spin off that would be cool. I'm going to be fairly low key and allow people to barter for my help. There is also the option of naming it HERO, have everything righteously (or rightly or ridiculously or ??) organized. I am starting to open a business as an organizer and decluttering service provider, but I am having a hard time coming up a name for my business. I was thinking about using my name and I would like my customers to feel accomplished, calmed, organized, and at peace once I am done with the task. I am looking forward to some help. Thank you. I am trying to start up my own organizing business and am having a difficult time coming up with a name. I was trying to use both or one of my initials (MI) or my three boys initials (CLJ). I am just getting nowhere. Thanks in advanced. My name is Carolline. I'm starting an organizing company and I have no idea what the company name should be. I would like to incorporate my name into it. Any suggestions? 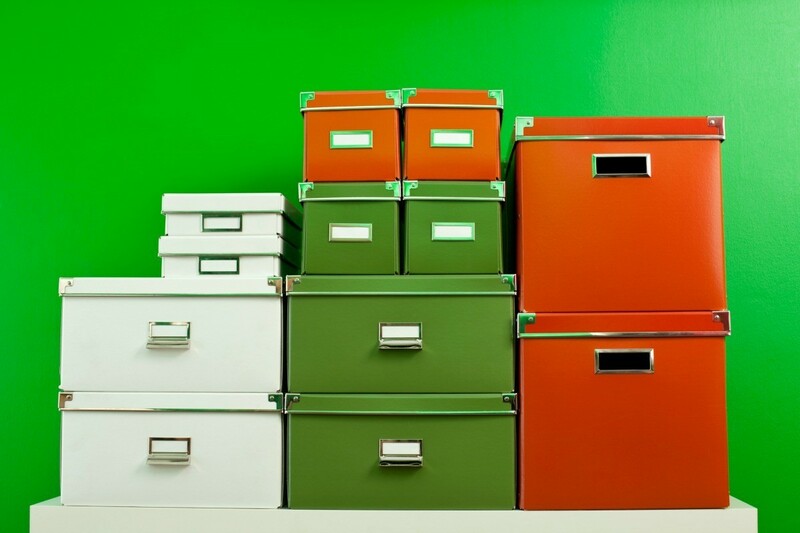 I want to start a business to keep financial records and personal organizing. My name is Salley Talley. So maybe with the initials ST. Or I would like to incorporate the name Zetta or the letter Z. Any ideas? I need help! I am starting my own organization business and I am stuck on the name :/ My last name is Love so it would be great if it was in the name somewhere. I want it to be short, catchy, easy to spell and remember. Anybody have any fantastic ideas? "Love Organization". Then for elsewhere put, "Learn to Love Organization." The best one I thought up is "Love 2B Organized". "Love it or Leave it"; Love it or lose it; "Love your space again". Good Luck with your new venture. I am professional organizer for peoples' homes and offices. Now I want to add a new service for senior citizens, where I help them out and run errands, etc. that they need help with. My current name doesn't seem to fit any more, "Clutter Control Unlimited". Any suggestions would be greatly appreciated. Thanks. I think you should keep the name you have now and then choose another name for the senior service. This way the seniors will identify with you more. Your senior services would be a part of your business, so your business cards should reflect that. Make sure it is a name seniors can identify with : for example : Ace Hardware ...seniors identify with Hardware. If it was say Ace homeware they wouldn't realize it was a hardware store. Hope this helps! Organized Senior Personal Services is something they could relate to. Don't get too fancy. I'm interested in starting an organizing business. I thought of "Organizing Alchemy", but some said the name sounded too lofty. Others said it wasn't clear enough. Any ideas or suggestions? Thank you! I like the Organizing Alchemy name, but I can see the unclear point. Maybe you could come up with a more clear business name and use the Alchemy as a sub title or catchphrase. Hope you get some good suggestions. How about Ducks In a Row (as in the old expression "I've got all of my ducks in a row" meaning organized) Best wishes for success! How about something short and too the point like Get Organized with JG or Organization Ink? How about "Thinking Inside the Box"! Good luck. You can also use Frozen Lemons (www.frozenlemons.com). It helps entrepreneurs to come up with company name ideas. I want to offer decluttering, organizing, assistance with packing/unpacking for moves, home office, closets, garages, kitchens, children's play areas, helping with the letting go part of the grief process, etc. I am looking for suggestions on a name for an organizing business. I'd like it to be simple, catchy, and trendy. I am starting a new organizing business, and I am stuck on the name. I want the name to be something with serenity in it. Any ideas? All I can think of is Serene Clean but that wouldn't address the organiziational part. I like Calm the Clutter tho'! Can anyone help me with a clever name for an organizing business? My initials are NA something I was thinking about. Let me know any ideas please! I am attempting to name my organizing and staging business. Can you help me with potential names? My name is Krystal and I need suggestions for the name of a personal organization service I am starting. I love children. Anything I can do to help them to be happy and confident brings me joy. Personalized Plans: I will work with you to come up with a plan to help you and/or your family be less stressed; happier; and have more time to enjoy life. I am starting an organizing business for homes and businesses. I will also provide event planning/coordination and will make gift baskets. I am a "Jill of All Trades". :-) I am trying to find a name for my business that will not limit my services. I like the words dynamic, creative, and catchy titles. I also love the Southern Belle theme. My personality if very personable and outgoing. Can you provide any suggestions for a name? I am starting my private organizing business. Due to a lack of creativity I am having a hard time finding a good name for it. I live in Japan so it has to be something short and simple that Japanese people will find easy to remember. I am in need of a name for my professional organization business. My specialty is in the home. I have a long name (it has four syllables) and don't know if I should include it. My mother-in-law and I are going to start an organizing buisness for people without the time to do it on their own. Our last name is Gray. I was trying to think of somthing with Grays in it or just gray any ideas? Thank you. I'm starting a home organization and interior decorating business, as a free lancer. I am struggling with a catchy name that represents: order, less is more, simple lines, open space, and simplify your life. I know it's a bit much to incorporate, but at the end of the day, being OCD, I can't settle on a name. I don't want people to think I only do minimalist type of interior decoration, which is what the home organization is about. Any leads would be tremendously appreciated! I've started a new organizing business and I'm stuck on the name. I would like to use my last name "Dance" and also the word breathe. Any ideas? Owning and operating a business which people will remember is called 'branding,' zaidance. When you think about the services you offer and what people will hire you to do, what words come to mind? As a consumer, when I hear the words 'dance' and 'breathe,' I think of yoga, fitness, zumba ... and certainly not organizing. That said, once you've chosen a great name for your company, there's no reason whatsoever that you can't have fun with slogans. "Dance through the day when everything's organized," or "breathe easier when you can find what you want when you need it."